يقع في كارينس سيتى سنتر, Reef Gateway Apartments إنه المكان الأنسب لاكتشاف كيرنز و ما يحيطها. يحظى هذا الفندق ذو 3.5 نجمات بمكان ممتاز يسمح بالوصول إلى المعالم السياحية الأكبر في المدينة، فهو يبعد مسافة 1. Km عن صخب المدينة. يوفر الفندق بفضل موقعة الجيد وصولاً سهلاً إلى أهم معالم المدينة.
. يقدم Reef Gateway Apartments خدمات لا غبار عليها وكل أشكال اللياقة وحسن الضيافة اللازمة لإسعاد ضيوفه. تتضمن الميزات الرئيسية في هذا الفندق: مرافق مخصصة لذوي الاحتياجات الخاصة, تسجيل وصول/خروج سريع, تخزين الأمتعة, واي فاي في المناطق العامة, صف السيارات. تتضمن كل غرف النزلاء وسائل الراحة والتسلية المصممة خصيصاً لضمان الراحة القصوى للضيوف. يقدم الفندق مجموعة رائعة من الخدمات كمثل حوض استحمام ساخن, مسار جولف - ضمن 3 كم, حمام سباحة خارجي, سبا, حديقة، لجعل إقامتك تجربة لا تنسى. مهما كانت أسبابك لزيارة كيرنز، فإن Reef Gateway Apartments هو الخيار الأفضل لإقامة مثيرة وممتعة. يُرجى العلم بأن شقق "ريف جيتاواي" (Reef Gateway Apartments) تطلب تفويض مسبق لحجز مبلغ من البطاقة الائتمانية أو دفع مبلغ تأمين عند تسجيل الوصول لتغطية أية مصروفات عرضية. مكتب الاستقبال مفتوح من الساعة 8 صباحًا إلى 6 مساءً في أيام الأسبوع العادية وأيام السبت ومن الساعة 9 صباحًا إلى 12 ظهرًا أيام الأحد. يجب على النزلاء الذين سيصلون في وقتٍ آخر -غير الأوقات المذكورة أن يتصلوا بالعقار مباشرةً قبيل وصولهم؛ وذلك حتى يمكن إجراء ترتيبات أخرى. Great apartment. All amenities required except for virtually no free internet. Reception is very seldom available. All the positives of the property outweighed the one negative. Facilities great. Bus out the front, pizza hut and CocknBull Hotel nearbby. Across the Rd from hospital. East walk to town. Lovely stay. Apartment is in desperate need of repairs. Shower splashed over bathroom floor. (Management provided extra bath mats). No outdoor chairs on our balcony (which was the car park). Bedroom cupboards had no shelving (a basket unit that collapsed) in one and no hangers in the other. Would like to have recliners near pool. Spa was not working. This was a very relaxing holiday in a great location. Excellent value, spacious & comfortable, clean! Great stay! We loved the split level town house. Very roomy for 3 and came with a fully equipped kitchen and washer/dryer. 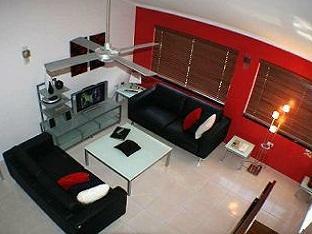 Comfortable, near great restaurants and shops and only a 15 minute walk to the main part of Cairns. Bob also helped us book our tours. Was quite .Reasonbly close to city center. Close to airport . Was a pleasant stay,had enough cautery ,could have done with more towels because of heat showers were nessasary.Shower did go cold once only ,also water dose spill out of enclosure .Had no vacuum hose. Overall buses were across road easy transport to town or walk over to shore line.Would go back . in toilet, fan cover suddenly dropped and water was flooded, bed was not comfortable but was clean! It was a 3 night stay at the hotel. Bob is friensly and very helpful. 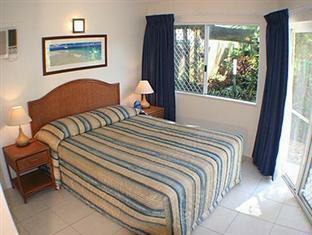 The hotel is clean, fully equipped with laundry, drier and kitchen with utensils. Highly recommended. Really only slept in unit, was busy through - out the day. Air conditioners were noisy, but that is usual with box type air cons. 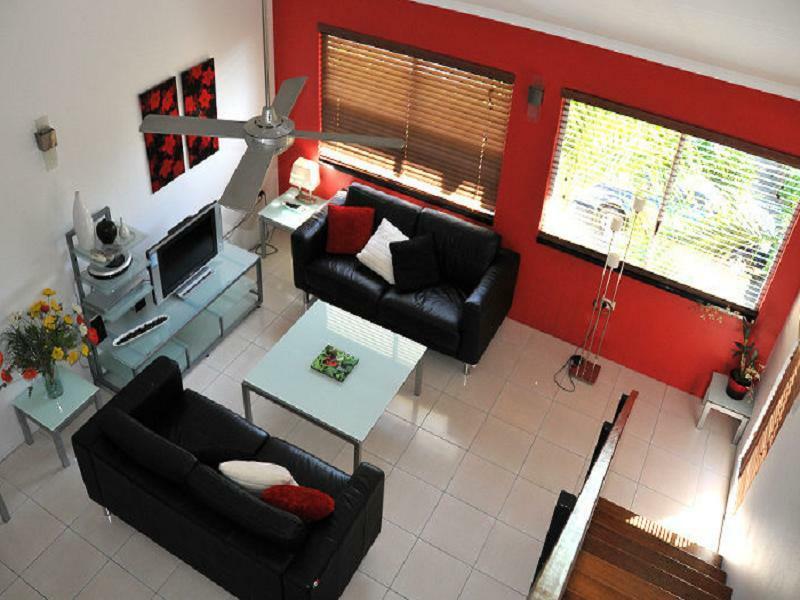 Staying at the Reef Gateway was a pleasurable experience.The self catering apartments are modern and clean,nicely furnished and fully equipped including washing machine and dryer.Thelocation is a 15 to 20minute walk to the Town centre but quiet and a block back fromthe Esplanade.The staff are very friendly and will assist withtours and car hire.Wifi is provided. Really nice place with lovely owners. Pool and facilities were excellent. Rooms were nice and well maintained. 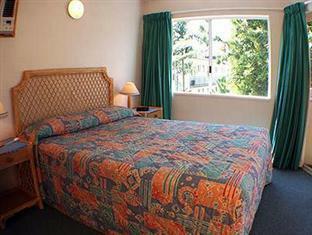 Facilities included stove, washing machine, fridge air-conditioning. We stayed there because we wanted to save money by self catering and we would stay there again.